ex-Trade Winds, ex-T.V. McAllister, ex-USCGC Gresham, built 1897, 741 gross tons, former Coast Guard cutter. Formerly the US Coast Guard cutter Gresham, manned by American volunteers. Rammed and captured by the destroyers Venus and Brissenden. 895 men, 479 women, 37 children, 2 newborn babies. 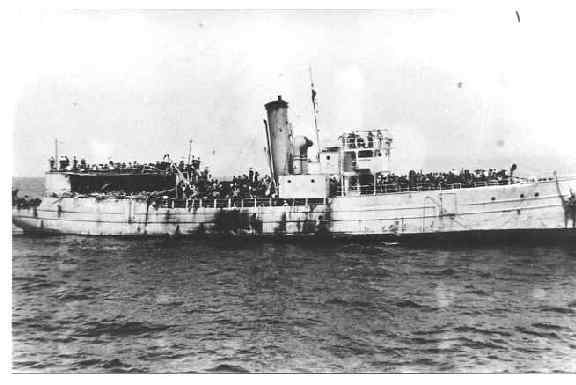 The refugees fought to prevent the ship being boarded. The American crew members mingled with the passengers and went with them to Cyprus. Name “Hatikva” means “The Hope” and is the title of the Jewish national hymn.